And they know how to have a good time. Last night, Rhode Island Monthly magazine presented close to 400 awards to local businesses and personalities in the Ocean State at a sold-out party at Providence Performing Arts Center. 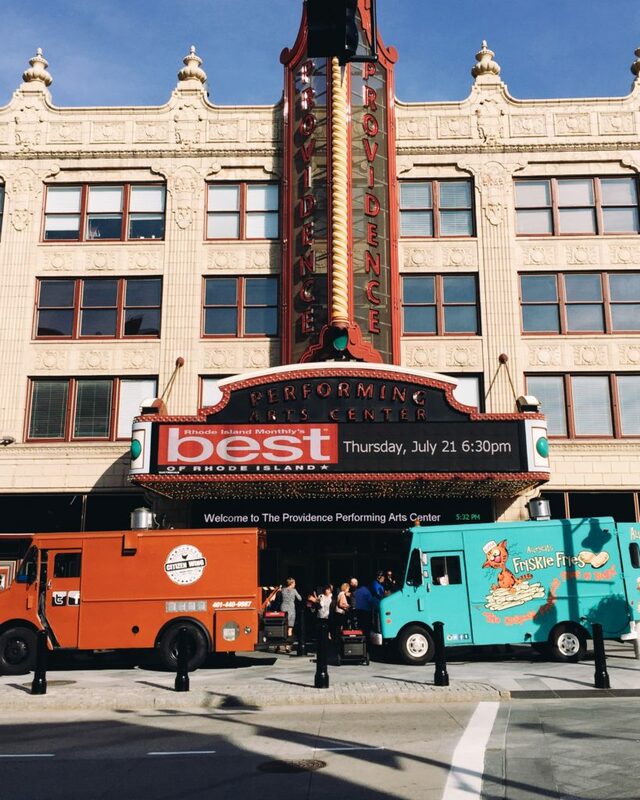 The event kicked off with a VIP party thanking local winners on the PPAC stage and also a pre-party on PPAC Square with food from Friskie Fries and Citizen Wing food trucks and Del’s Lemonade. Then everyone headed inside for the big event, which included presentations by Rhode Island Monthly Publisher John Palumbo, PPAC’s Alan Chille and Mayor Jorge Elorza. Former Mayor Vincent “Buddy” Cianci was tributed for saving the very theater in which the party took place (and he was acknowledged for his nearly two dozen Best of RI awards over the years). Then the party kicked off with Rhody band Steve Smith and the Nakeds taking the stage and performing their famous song “Biggest Little State in the Union,” as prompted by Arnold Bromberg of Benny’s. Everyone’s favorite store recently showcased the ditty in an inspiring commercial that showed Rhode Islanders’ love for the Ocean State. Then it was onto the food and drinks! Thank you to all of our vendors for serving up quite the epic food spread: Chapel Grille, Matunuck Oyster Bar, Providence Coal Fired Pizza, UMelt, Basta, Willow Tree and Sin, plus Narragansett for the beer. Guests also enjoyed wine and two drinks from our Stoli martini bar, which served Del’s Lemonade and coffee milk themed drinks. Proceeds from the event will benefit Learn It to Earn It, an educational program that provides urban Rhode Island students with access to Broadway shows. This year’s event was proudly sponsored by Audi Warwick, Cardi’s Furniture and Mattresses, Rhode Runner, Delta Dental, the Better Business Bureau, and Benny’s. Thank you to all who attended, and congratulations to all our winners. You are what makes Rhode Island so great! Out on the town for #BestOfRI last night with @studiobsalonri family?? Caught last night by our friend Mike out of block island. Also, thanks @rimonthly for the #bestofri best raw fish award! We are so incredibly humbled to have been awarded best gourmet #doughnuts in #RhodeIsland – thank you so much to @rimonthly and everyone who voted! 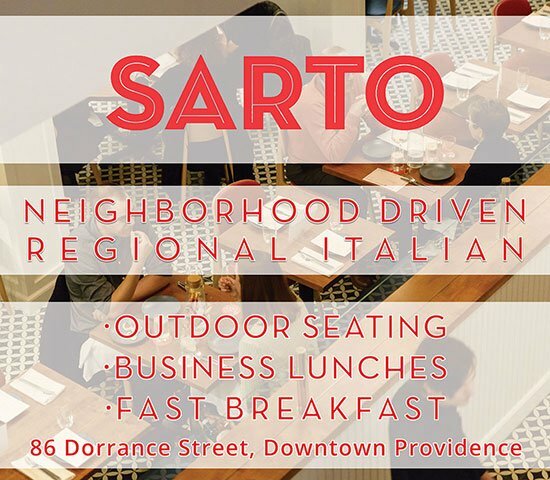 As a brand new business, we couldn't be more appreciative of the warm welcome we've received not just in #PVD, but all throughout RI. We may have won a #BestOfRI award, but truth be told, y'all are the best ?